At approximately 10.00 a.m. you will board one of our vessels for an hour and a half Cruise around Maltas historical harbours. 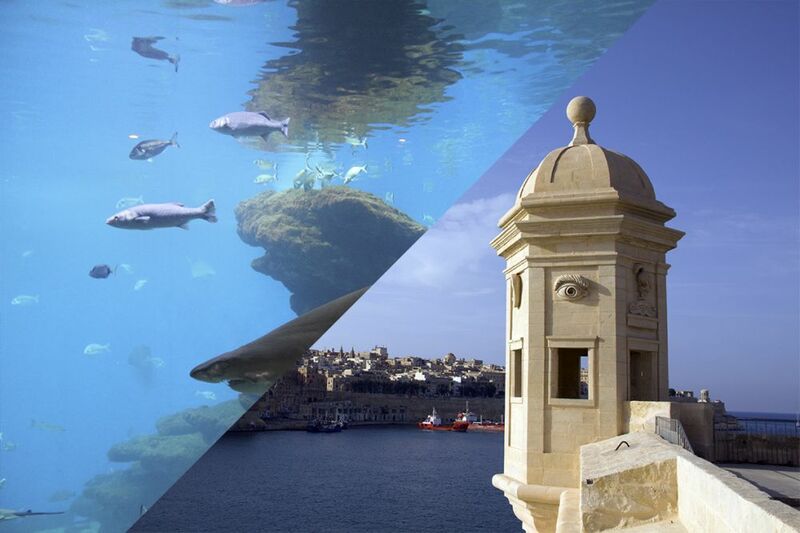 The Grand Harbour and Marsamxett Harbour (Information about the Harbour Cruise). At approximately 12.00 noon you will be taken to a Four Star Hotel in Sliema, where you will be served a delicious three-course meal with wine. After lunch you will be transferred once again to board the Underwater Safari vessel for a sensational Underwater Safari (Information about the Underwater Safari).